The landlord must serve this Saskatchewan Notice To Enter to the tenant at least 24 hours before entering the rental unit. HAULT! Are you sure you can just walk right in to your occupied rental unit? Did you give notice? Do you know the proper precautions to take as a Saskatchewan landlord? If you are unsure, you came to the right place! For a Saskatchewan landlord to enter onto the rented premises notice is required. The landlord must notify the occupying tenant at least 24 hours and not more than seven (7) days before entering the premises. 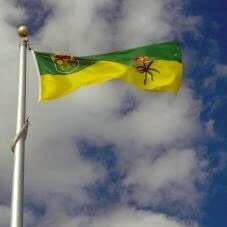 The ezLandlord Forms Saskatchewan Notice to Enter allows the landlord to give the proper notice to enter into the rental unit while following the Saskatchewan laws. This form abides by the laws in the Saskatchewan Tenancies Act of 2006. The Saskatchewan Notice to Enter form allows the landlord to give the proper notice to enter the unit, as well as the time and date he or she will arrive. The form also lists the reason for entry into the rental property. On the second half of the form it lists the laws the landlord must abide by when using this Notice to Enter form. Whether the landlord would like to show the rental property to prospective renters or buyers or if repairs need to be made, notice must be given at least 24 hours in advance. In Saskatchewan, landlords must provide written notice to tenants with specific requirements set forth before entering the rental property. This Saskatchewan Notice To Enter form, conforms to the regulations needed for a landlord to enter into a rental property. This document should be given to a tenant in Saskatchewan before a landlord may enter the rental property. It is used for Saskatchewan landlords in order to gain entrance to the rental property. The landlord must serve this form to the tenant with the specified time frames within a 4 hour period.